Large apartment for rent in Patong, 49 sq.m., bright and spacious, ground floor with terrace and garden surroundings. The Emerald Terrace is an Award Winning Condo for it’s Unique Design and wonderful details and great amenities for a very affordable price. 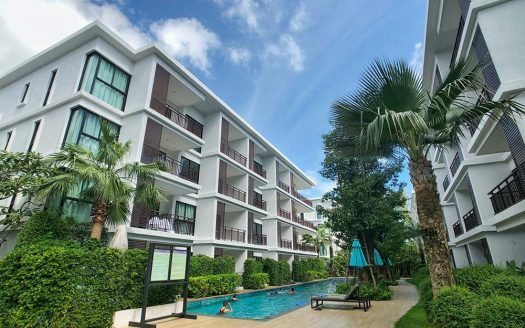 It’s furnished with table and chairs to savor Phuket’s delicious fresh fruit every morning, a separate bathroom, a fully furnished kitchen, 1 cabinet, 1 wardrobe, a king size bed, a sofa… it’s all made to offer you the best stay possible.